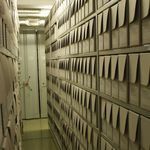 The Vera and Donald Blinken Open Society Archive (Blinken OSA) seeks to employ a full time archivist with a graduate degree in History or related discipline, and a proven experience in archives, libraries. The chosen candidate will work collaboratively under the supervision of the Chief Archivist and in close cooperation with Senior Librarian and Data Specialist, exercising good judgment and initiative, and managing sensitive materials. Knowledge of 20th century East-European history, or a related field is an asset. The position requires native Russian language, it is desirable to have working knowledge of Ukrainian or a major Central Asian language, and proficiency in English language is a must. The Blinken OSA has the largest repository of underground publications from the former socialist countries. As part of its 2016 strategy it aims to make available this invaluable corpus of materials to the broader public. The primary task of the chosen candidate consists of preparing a detailed inventory of the processing status of all Soviet Samizdat series and related materials regardless of the medium, in addition to cataloging, validating the correspondence against cataloging standards, ensuring multilingual record entries (transliteration, English translation), and defining the preservation status and requirements for the collections. The project also comprises the physical processing of the paper and electronic files, compiling a detailed finding aid, ISADG and ISAAR archival descriptions, editing a controlled list of names, preparing materials for digitization and producing the digital copies, producing a proposal for an online curated collection which will include secondary sources, implementing cross-referencing to internal and external related materials, and linking audiovisual recordings at OSA custody. After the online publishing of the catalog, the Samizdat Archivist will be involved in promotional activities such as producing publications, attending events, organizing public events at OSA and liaising with other institutions with samizdat collections. Commensurate with experience. However, we offer a competitive salary, as well as a dynamic and international academic environment. The initial contract is for 1 year with the possibility of renewal. Central European University (CEU) is a graduate research-intensive university specializing in the social sciences and humanities, public policy and management. It is located in Budapest, and accredited in the United States and Hungary. CEU’s mission is to promote academic excellence, state-of-the-art research, and civic engagement, in order to contribute to the development of open societies in Central and Eastern Europe, the former Soviet Union, and other emerging democracies throughout the world. CEU offers both Master’s and doctoral programs, and enrolls more than 1400 students from 100 countries. The teaching staff consists of more than 180 resident faculty, from over 40 countries, and a large number of prominent visiting scholars from around the world. Blinken OSA is part of Central European University (CEU) in Budapest (www.ceu.edu), probably the most multinational graduate institution in Europe, engaged primarily in the humanities and social sciences. OSA is a complex institution of memory that supports scholarship, is engaged in research, is the initiator of high visibility public programs, and is in charge of the Evidentiary and Documentary Practices specialization at the History and Legal Studies Departments at CEU. Some members of the Archives staff are on the faculty of CEU, are engaged both in research and teaching, and advise the University in matters related to information technology and digital humanities. OSA Archivum / Galeria Centralis - 1051 Budapest, Arany János u. 32. To apply applicants are asked to submit a short CV, naming two referees, together with a motivation letter. Please send your complete application package to: applications@ceu.edu. Please include the following job code in the subject line: 2016/025.